The consortium is aiming at including partners with strong accelerators R&D activities and operating large R&D infrastructures. Besides, the participant institutes, which are contracting members of the Preparatory Phase proposal, associated institutes and industrial partners will have the opportunity to contribute to the Work Package activities. 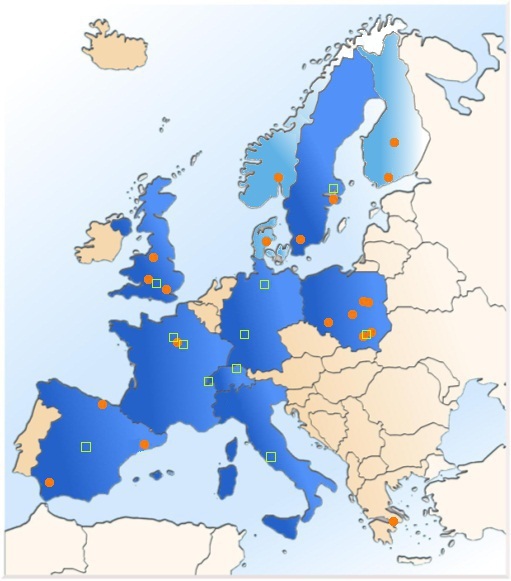 The interactive map below shows the 11 participant institutes and the 20 European partners associated with TIARA. Moreover, the consortium includes Japanese and American institutes (See below).